I’m not usually the kind of scrapper who takes photos to match the papers and embellishments I want to play with but for the latest Like For Ever kit I made an exception. It’s just chock full of gorgeous autumnal colours and as soon as I opened the box I knew I would need to try to arrange a little forest photo shoot with Bubs. As it happens the day I’d chosen to take the photos was gloriously sunny and Bubs was in a really good mood – two things that don’t always coincide! 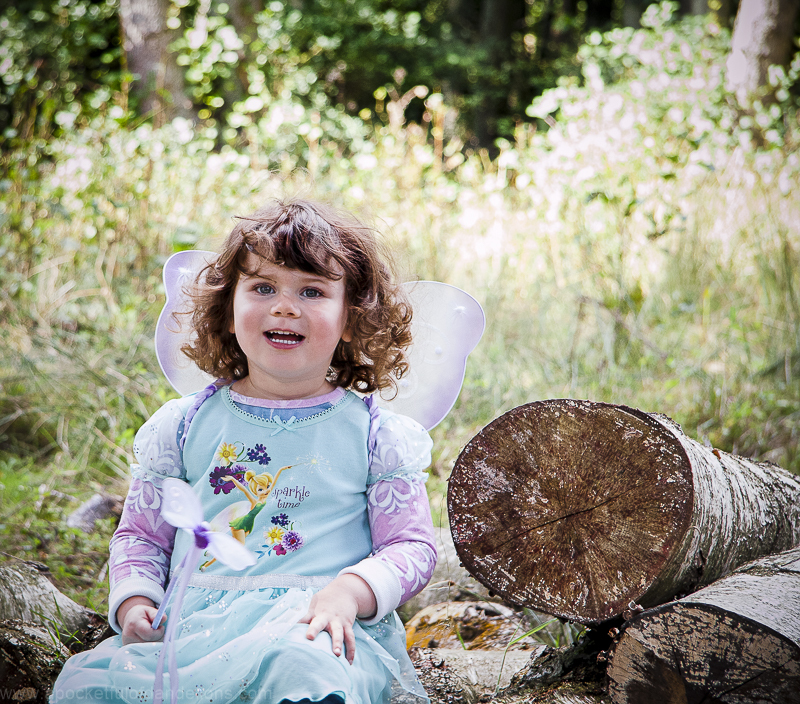 Bubs had dressed herself up in her Tinkerbell dress (Shhhhh, it’s really a nightie!) and her new fairy wings and insisted on wearing them on our walk. So rather than try to dissuade her I just let her amazing imagination take flight and our ‘Woodland Walk’ theme became ‘Fairy in the Dell’. I am in love with the photos! They are just so typically Bubs. Inquisitive, always smiling and just so happy to be outdoors. 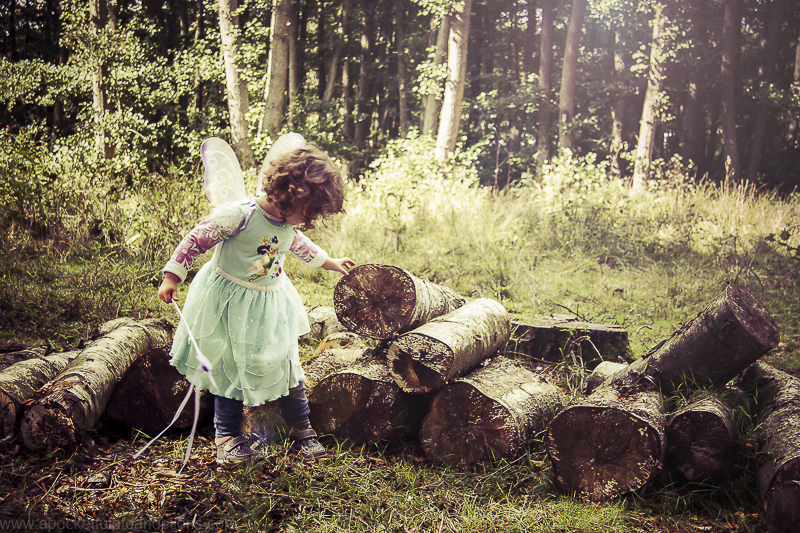 Now it’s going to sound a bit hippy dippy but the layout I made from these photos actually came to me in a dream. I’ve had scrapbooking dreams before but they mostly run along the lines of me being let loose in Hobbycraft with an unlimited budget! I’ve never dreamed an entire layout from start to finish. Thankfully I keep a notebook in my bedside drawer and as soon as I woke up I drew out a rough sketch and completed the layout the same day. I am so pleased with the result! I think this one might end up hanging on the wall in our front room. I took a plain piece of paper and used inks, Brusho powders and mists to create an autumnal background and then cut different sizes and shapes of leaves out of it using my Cricut. 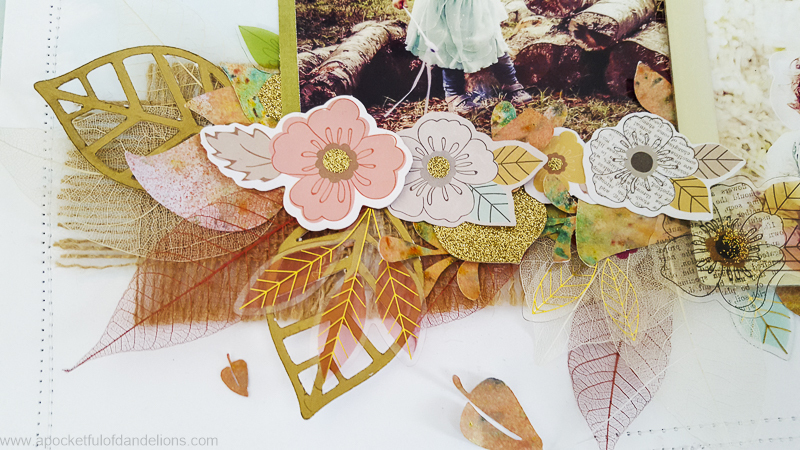 Those leaves were layered with die-cuts from the kit and some really old skeleton leaves that have been knocking about in my stash since before I met Hubs! I filmed a process video for this layout so if you want to know more about the processes and products I used you can either view it below or on my YouTube channel. Hi Vickie your photos are stunning and your layout is too! Thanks for sharing such lovely inspiration! This is quite pretty. 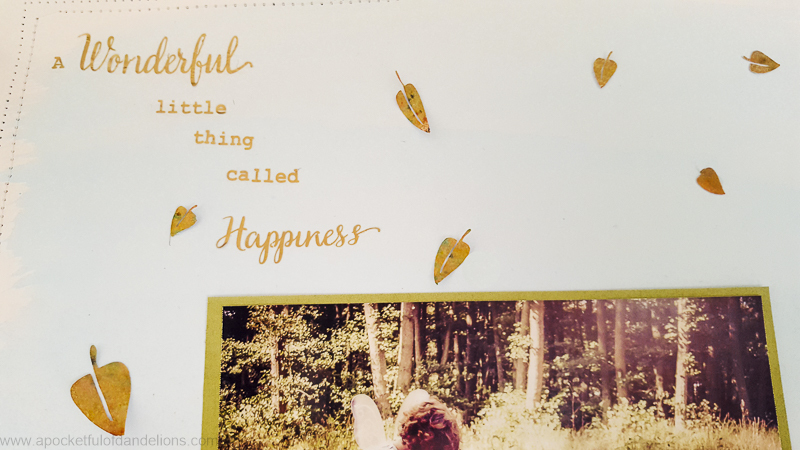 When I was scrapbooking (haven’t done much in recent years, dealing with being childless not by choice…and the realization that I had no one interested in them after me sort of took the wind out of my sails! ), anyway, when I did scrapbook I was much more about how many photos I could get on a page, rather than layouts like these. This looks lovely, my brain just doesn’t work that way! Maybe I’d do better if I thought of it as a standalone to hang on the walk etc!